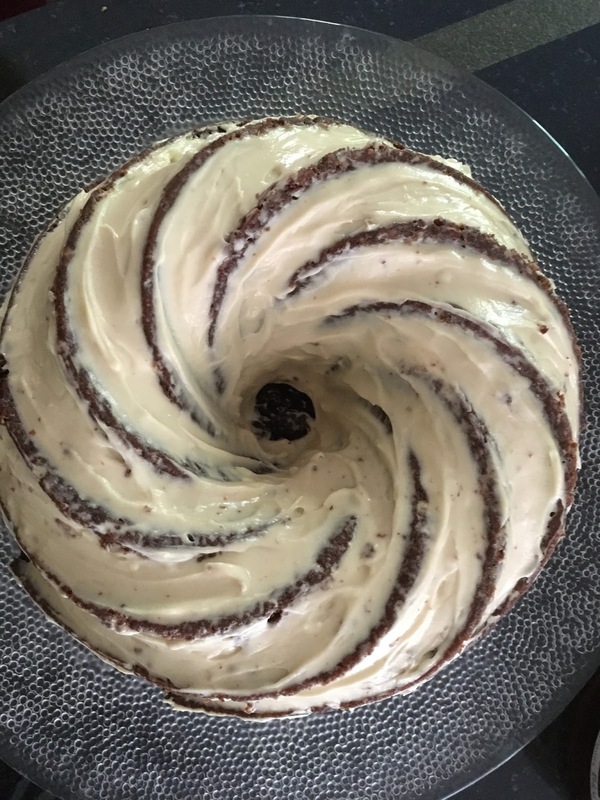 So, the current wife gave me another fantastic baking book: Irvin Lin's Marbled, Swirled and Layered. 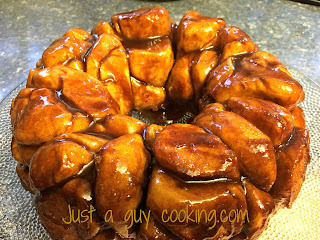 I know the author from his blog and from reading some of his great recipes. The book is filled with all sorts of baked goods that are calling me by the second. I just want to bake one, have the wife eat it and then bake the next. My book collection keeps growing and growing and I love it. Many people tells me that cooking books are outdated thanks to the internet, but they are wrong -they are wrong because I disagree, just to start with-. There is nothing like a good book in your hands when you are looking for a recipe and more so when you are cooking or baking. The internet is a great source no doubt but...the books are warm, human...eventually they are stained, dirty and used...they have proven their worth. So... books yes, internet ...yes if you know the website (like this one). 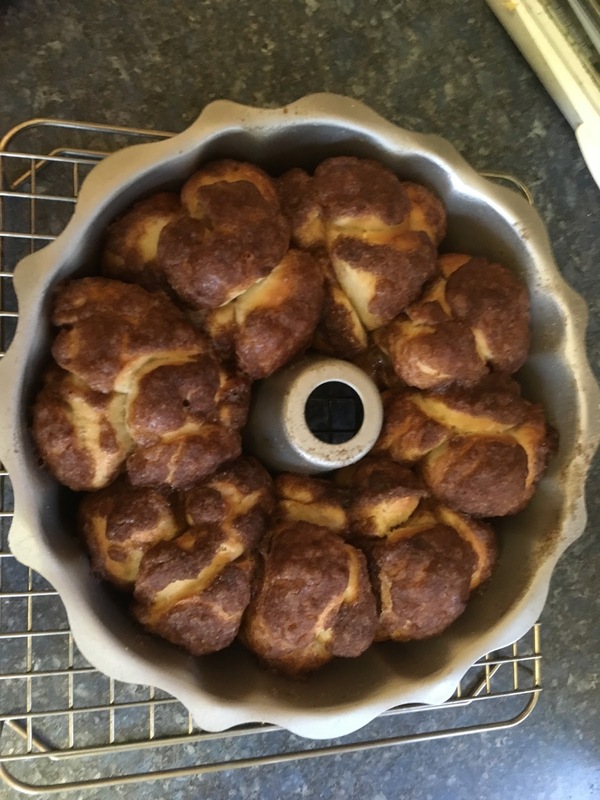 Oh...I can tell you stories of recipes that look great on the web and when you do them they just fail. A book at least can be good fuel for my fireplace if is no good. In any event, this recipe was on my radar thanks to Thekitchn from Apartment Therapy Co. which has amazing recipes and is quite accurate. The combo between Thekitchn and Irvin's book is what gives birth to this recipe. Honestly I barely did any adjustments as it works as a charm. I have made white bread many many times (who doesn't love white bread?) and the name of the bread was known to me by the current wife as it happens that is one of her favorites in the whole planet. 1. Make sure the water is warm to the touch, it should be warm not hot, otherwise you will ruin the yeast. 2. 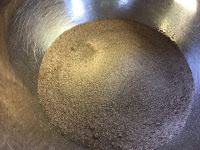 Pour the water into the bowl of a standing mixer or large mixing bowl and sprinkle the yeast over top (I mix it) and add one teaspoon of sugar. Let this stand for 10 minutes in a warm place -I use the inside of the oven with the light on-. The mix will be ready when it has increased in size and looks bubbly. 3. 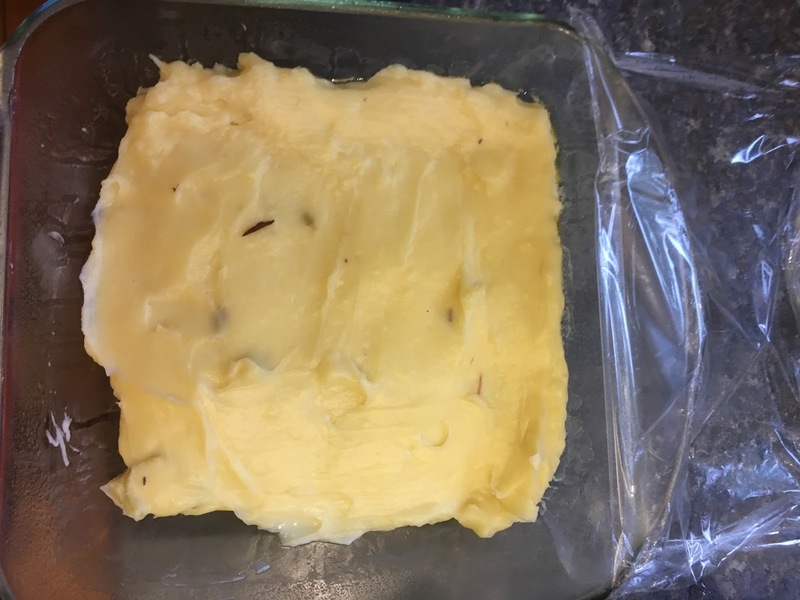 Melt the butter in the microwave. Stir in the milk, sugar, and salt. 4. 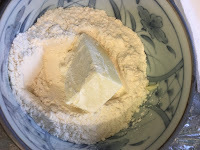 Pour 1 cup of flour and the milk mixture over the yeast. Stir until this comes together into a loose, lumpy batter. 5. 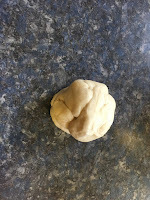 Add another 4 1/2 cups of flour, reserving the remaining cup if the dough is sticky during kneading. 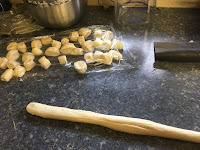 Stir until a floury, shaggy dough is formed. 6. Using the dough hook attachment on a standing mixer, knead the dough for 8-10 minutes. 7. If the dough is bubble-gum sticky against the sides of the bowl or the counter, add extra flour a tablespoon at a time until it is no longer sticky. 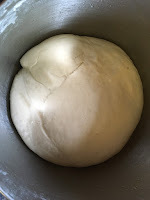 The dough is kneaded when it is smooth, feels slightly tacky, forms a ball without sagging, and springs back when poked. 8. Clean out the mixing bowl and film it with a little oil. 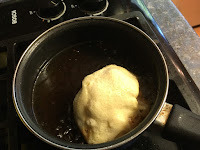 Form the dough into a ball and turn it in the bowl to coat it with oil. Cover the bowl and let the dough rise in a warm spot (inside the oven with the light on) until doubled in bulk, about one hour and a half. 9. Sprinkle a little flour on the counter and turn the dough out on top. Divide the dough in three. We will use only two of the three parts, the other you can freeze for white bread buns for another day. 1. Peel, halve, and core the apple. Cut it into 1/2-inch dice. You will need 60 apple pieces. Transfer to a small bowl; set aside. 2. Whisk the granulated sugar, brown sugar, cinnamon, nutmeg, and salt together in a bowl. 3. Take 1 tablespoon of the sugar mixture, sprinkle it on the apples, and toss to coat; set the spiced apples and remaining sugar mixture aside. 4. 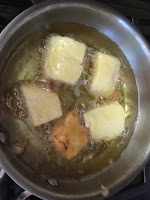 Place the melted butter in a wide, shallow bowl. Brush the sides and tube of a 12-cup Bundt pan with a thin layer of the butter; set the pan and remaining butter aside. 5. Divide the bread dough into 6 equal pieces. Rolling it between on a work surface, roll each piece into a 10-inch-long rope. Using a knife or metal bench scraper, cut each rope into 10 pieces. You should now have 60 small pieces of dough; cover loosely with plastic wrap. 6. 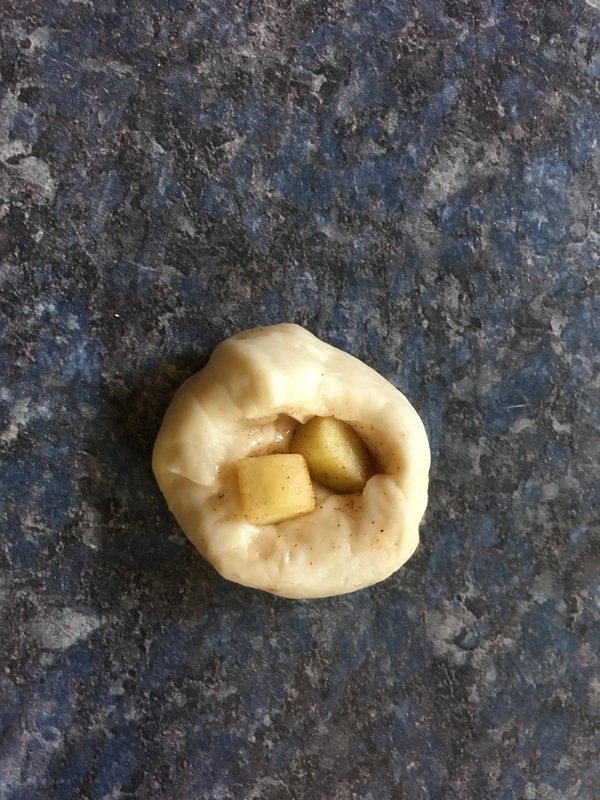 Press 1 piece of apple into a piece of dough, wrap it completely in the dough, and roll it into a ball. Clean your fingers each time so the dough stays sticky and each ball closes otherwise it won’t close the balls! 7. 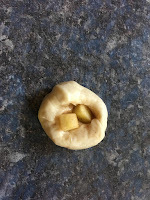 Return the dough ball to the work surface and repeat until all the dough pieces are filled with apple. 8. 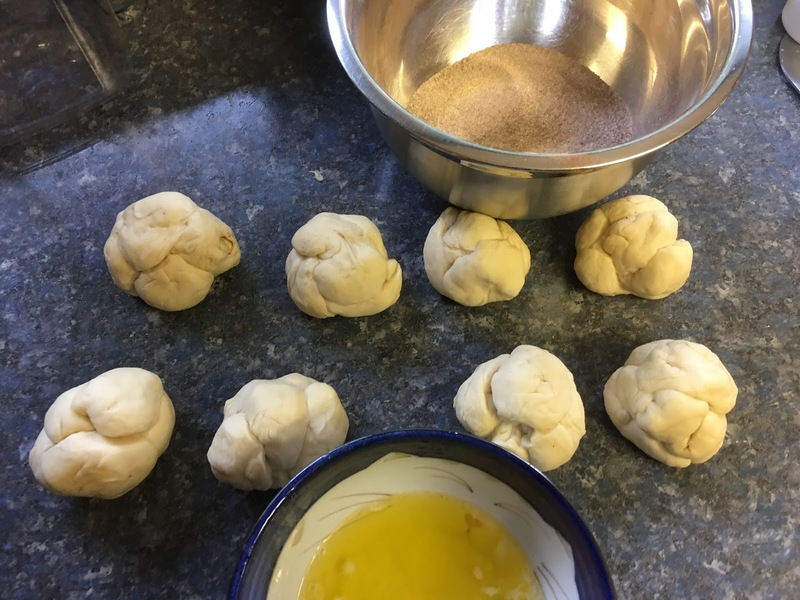 Working with 6 dough balls at a time (softly put together 6 small balls into a larger one), roll them into the butter to coat, then roll them in the sugar mixture to coat. Rewarm the butter as needed if it cools down and starts to congeal; warm butter makes a thinner coating. 9. Place the sugared dough balls into the prepared pan, layering them over any spaces as you go. (Don't worry about being too precise.) Repeat with the remaining dough. The pan should be about half full. 10. 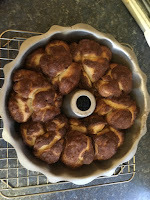 Drizzle the remaining butter over the monkey bread and sprinkle with the remaining sugar mixture. This will turn into a caramel over the monkey bread. 11. Cover the pan loosely with the plastic wrap. Let rise in a warm place (again…the oven with light on) until puffed and risen to about 1 inch from the top of the pan, 1 to 1 1/2 hours. 12. About 20 minutes before the bread is fully risen, arrange a rack in the middle of the oven and heat to 350°F. 14. 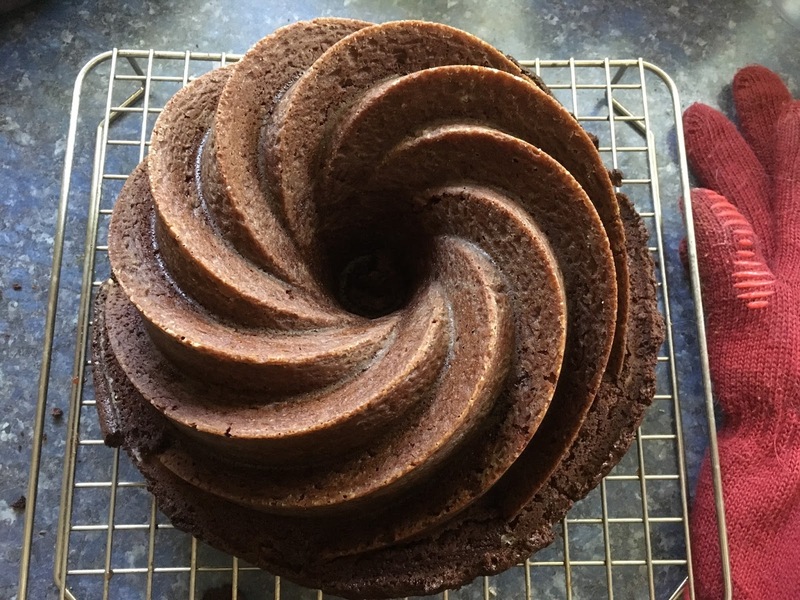 Invert a cake stand or serving platter over the Bundt pan. Holding onto the platter and the pan at the same time (use oven mitts or a towel — it's hot! ), flip it over. 15. 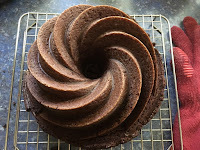 Remove the Bundt pan (you may need to use a fork or knife to pry the pan up to lift it off). Let cool at least 15 minutes more before serving warm. Warm is just fantastic! In my pursue of happiness and trying to recreate Salvo Moltalbano's favorite dishes, this time I decided to try this "encapsulated" pasta dish that originally was baked on embers that were placed on top and bottom of the cast iron dish. Took me a while to get the sense of the true Sicilian dish and, as usual, the dish has very humble origins and can not get more Italian than this: eggplant, tomatoes, pasta and cheese. 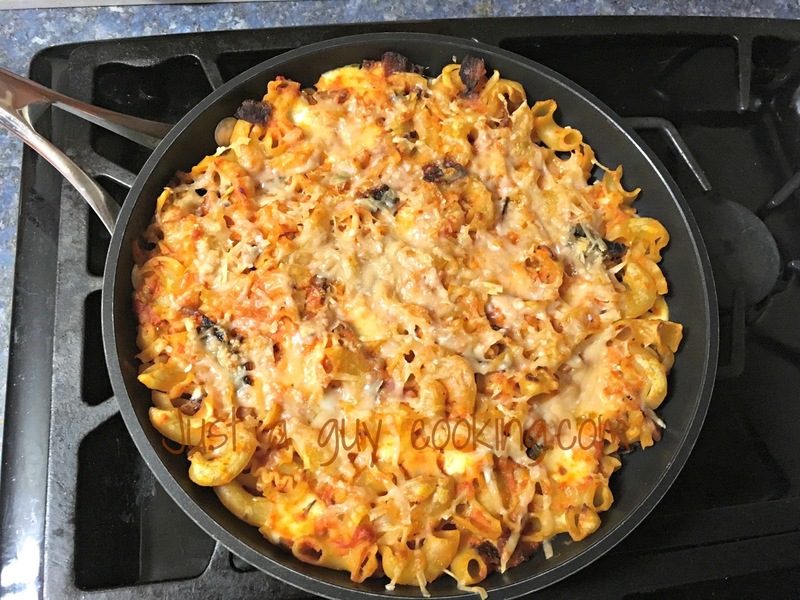 I did my research and a lot of Italians serve it on a plate "unmounted" from the cast iron pan (like a dome)...but to do that I had to wait 10 or 15 minutes so the pasta would cool down and then unmold it. The problem here is: who in their right mind can wait THAT long to enjoy such a fantastic dish? We didn't, buy hey...I do what I can. Also I have seen some people that cook this dish using the eggplant as the base of the dish (is placed on the bottom and sides of the cast iron pan)...but the cubing method was more appealing to me. The addition of the bacon also I saw in some recipes and considering that one must die of something I said...sure, let's add bacon to this dish!!! and the end result was incredible. The current wife thought that the whole pan was for her, so a fight broke, but at the end we both ended eating and sharing (me with some bruises). 500 g Maccheroncini or Macaroni pasta as dictated by tradition from Messina. 1. 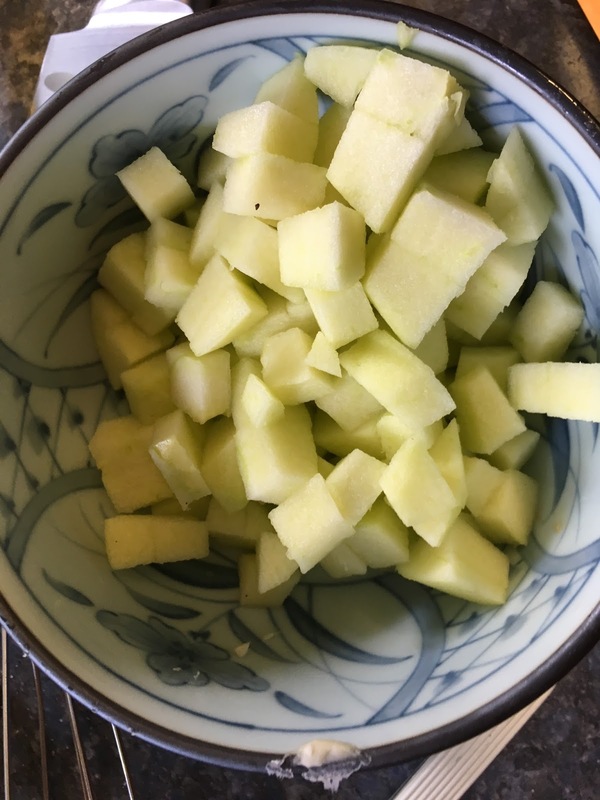 Cut the eggplant into cubes (about 1” inch) and put the cubes in salt water in a colander and leave for about 50/60 minutes. 2. Rinse in water the eggplant cubes to remove excess salt and dry them by putting them in a cloth. Leave them to dry for about 1/2 hour to get them a bit dry. 4. 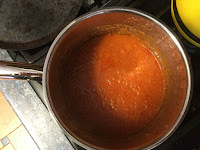 Now, let’s prepare the tomato sauce: In a medium size pan, medium heat, caramelize the onion until it gets a bit translucent, add the stewed tomatoes (I used a can of stewed tomatoes as the tomato season is gone) , the basil and the oregano to taste and lower the heat to simmer. Cover and let it simmer for 20 minutes. 6. 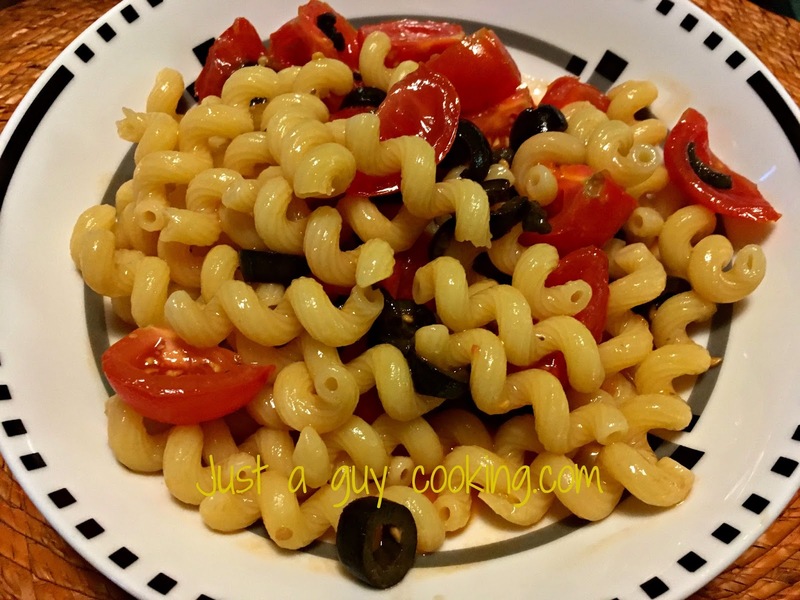 To save you time, while the sauce is simmering, in a large pot with boiling water cook the pasta (I never add salt nor olive oil to the pot where I cook the pasta…). Cook until is al dente, drain and reserve. 7. Time to put it all together: pour the pasta in a large bowl, add the mozzarella cheese and 100 grams of grated parmesan cheese, the cubed eggplant and the bacon. Add the sauce and mix until everything is incorporated. The idea here is to allow the cheeses to melt on the warm tomato sauce. This is not a layered pasta dish: all must be combined before the final step. 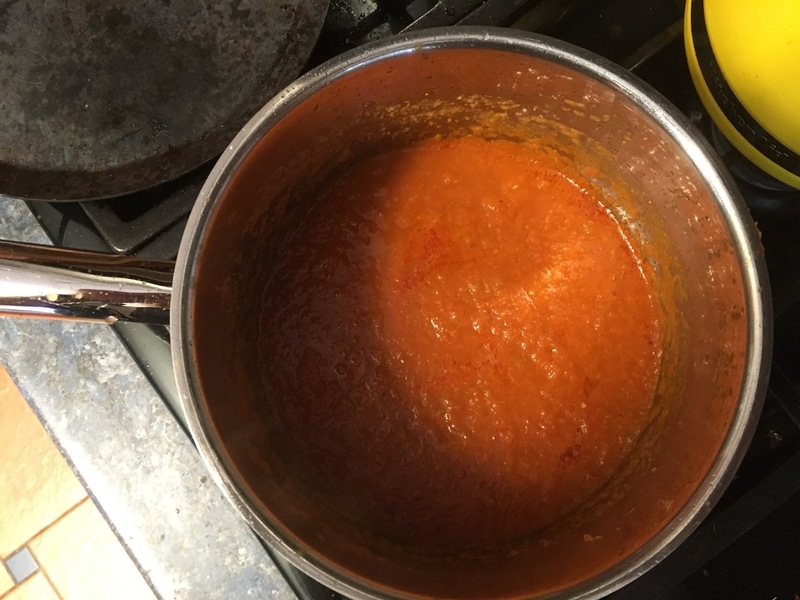 REMEMBER that the dish 'ncasciata has a single layer - is what differentiates it from the traditional Italian oven baked pasta - so the first step is to cook the entire mixture in a bowl and not doing layers. 9. Final stage: put the ‘ncasciata dish mix into a cast iron pan (or a dutch oven), top it with the other 100 grams of grated parmesan cheese (we want a crust) and bake for15 minutes. Once it looks “crusty” then the dish is ready to be eaten right away. I have to admit. I am not a root vegetable kind of guy, probably because I don't know much about them nor I have eaten them frequently. In Mexico we really don't eat that many root veggies because of the climate. Pretty much we can eat the same food year round because climate wise it is paradise. Here is different. Summer time is warm and Winter is cold and each comes with a different variety of fruits and vegetables and obviously people have learned to cook whit what they got. The current wife likes root vegetables and gave me this book called Down to Earth (Georgeanne Brennan) and I decided to give it a try by doing a recipe that I knew I would love. 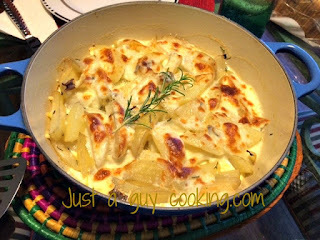 Scalloped potatoes are fantastic and this recipe just makes them way (WAY) better. I prepared them with nothing else to eat but that and, believe me, it is plenty. It really doesn't need anything else buy I'm sure that can be a side dish too. We ate them and we had leftovers for another day (plus two lunches for the current wife). Try them, you'll see. Honestly a fantastic recipe. Soon, I'll try another one. 6 Anchovy fillets in Olive oil, cut into 1/2 inch or so. Keep the oil! 1. Peel and then cut lengthwise the potatoes, French style (like French fries) into batons 1/2 inch thick and slice the onions into rounds about 1/4 of n inch thick and reserve. 3. Butter a 2 quart (medium size) baking dish that has a lid (I used my Dutch oven). 4. 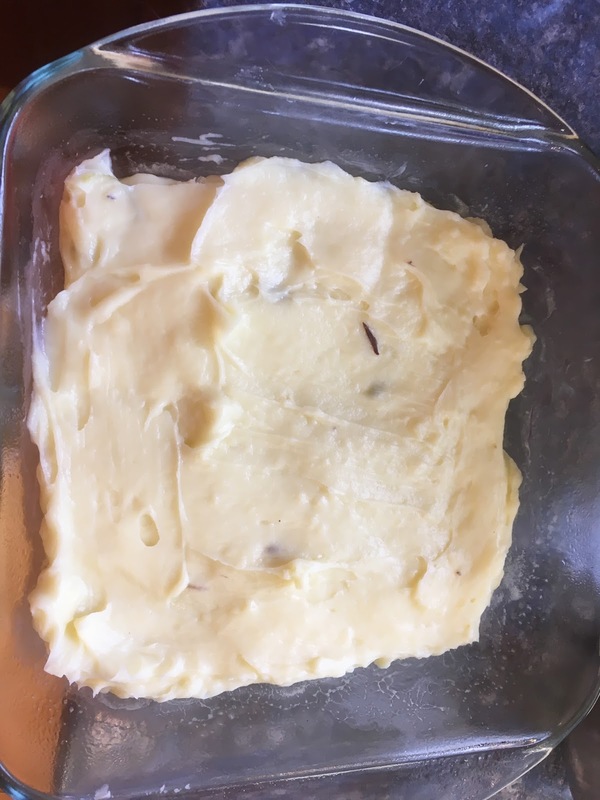 Arrange 1/3 of the potatoes in a layer at the bottom of the buttered dish and scatter 1/2 of the anchovies and 1/2 of the rosemary (remember to keep the oil!). 5. Now, top with a layer of onions and add some of the rosemary. 6. Add the second layer of potatoes, then the anchovies and then the rosemary and repeat the layering until the upper layer are the potatoes. 7. In a medium size bowl mix the anchovy oil with the cream and pour over the potatoes. Cover with the lid (must be tight, otherwise also use aluminum foil and then the lid). 8. Bake for 35 minutes until the potatoes are tender, then uncover and cover with parmesan cheese and bake again for an extra 15 minutes. Andrea Camillieri's Inspector Salvo Montalbano is a peculiar character and a favorite TV series in my household. I don't remember how many seasons or how many episodes are there, but we have watched them all, including the spin off The Young Montalbano which is as great as the original. Two peculiarities of Salvo Montalbano are, one that he does not talk while eating (not a word in a whole dinner or lunch for example, regardless of who is with him) and that he loves Sicilian food. As a fact, he is a true Sicilian and loves all about this place. I share Montalbano's personality in two areas: one he has a sense of humor and he loves food. In each episode you will always see how a different dish is either prepared for him, eaten at his favorite restaurant or is prepared by him. There is a huge emphasis on his love for food but, believe it or not, there is not one single book (a descent book, though) that contains his recipes (contrary to Inspector Brunetti's, who has a great cook book), so trying to cook something I want to replicate takes tons of research, mostly in Italian. The dishes are not designed for the show but Sicilian and some are simple, like this one and other ones are quite complicated -like the Cassatta that is in this blog). I will start a section dedicated to Montalbano's food in my blog and hopefully Camilieri or his family, publisher or lawyers don't come after me. At the end is Sicilian food, but my reference is him and his food. This is a terrific dish. It is simple to do and quite different to other recipes that I have done (like the Cherry Tomato Pasta). It is delicious, so it is my opening of a new page on my blog. To Camilieri, to Salvo and to all who love food! 3. In a large pot, put water to boil and cook the pasta (as it is short cut extruded pasta it will take about 12 to 15 minutes to be ready. Check after 10 minutes so you don’t overcook it) AND place the bowl that contains the tomato mix on top of the large pot if possible, otherwise use a medium size pot, put some water and heat it up, then place on top the tomato mix, as we don’t want to actually cook it, but just warm it up). 4. Drain the pasta when is almost done (not undercook but almost cooked) and then add it to the tomato bowl. Move the big bowl to a side, mix it up perfectly and add the basil. 5. Serve with some parmesan cheese on top. You can actually eat this pasta cold and it will be as delicious as when you eat it warm. If you go to Spain, they call them Tostadas de Crema and they are part of the Carnival food, which is fantastic. The Carnival is celebrated to commemorate the arrival of Easter and it is when people use costumes, there is music and food, food and more food. Or that is what they say, as I have never been to Spain (but it is in my bucket list). 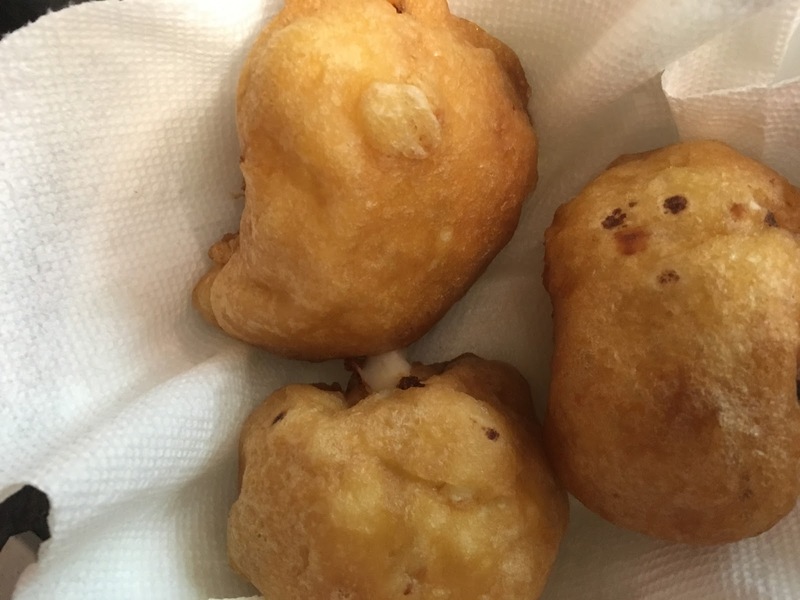 Obviously the dessert is also eaten in Mexico, but there they call it Leche frita (literally fried milk) and it is served in many spaniard restaurants and some traditional Mexican restaurants they serve it too, claiming that it is a Mexican dessert. I honestly can't see how this would be a Mexican dessert as before the Spanish Invasion there were no cows in Mexico. Go figure. 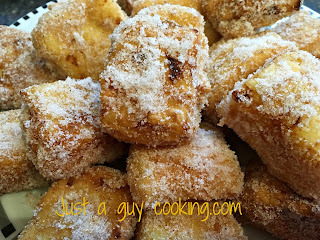 In any event, it is a fantastic dessert to make and a crowd pleaser (who doesn't like fried food?...I already talked about it not long time ago). They serve it warm and it is delicious. The current wife who claims to be Mexican and that she comes from a long line of Mexican people going all the way to Quetzalcoatl. I have to admit, when she gets upset she does look like a feathered snake with red eyes and about to eat you, so I believe...well, she had never tried this dessert, so proudly I had a chance to show her something Mexican that she had never eaten. Ha! 2. Ina medium size pan, over high heat, warm the milk but do not reach boiling point, adding the cinnamon sticks and the lime peel. 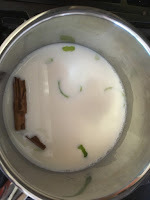 Keep it in medium heat for 10 to 15 minutes so the flavor of the lime and the cinnamon is absorbed by the milk. Turn off the heat and reserve. 5. Now, let’s add the corn starch-milk mix and keep stirring. This is when the mix will start to thicken, so keep stirring for about 10 to 15 minutes. The mix will start to thicken (be patient!) and we will keep stirring until we get a firm mix with the consistency of mash potatoes. This is the point where we turn off the heat and reserve. It is extremely important that the mix is thick, otherwise the recipe will not work!! 6. 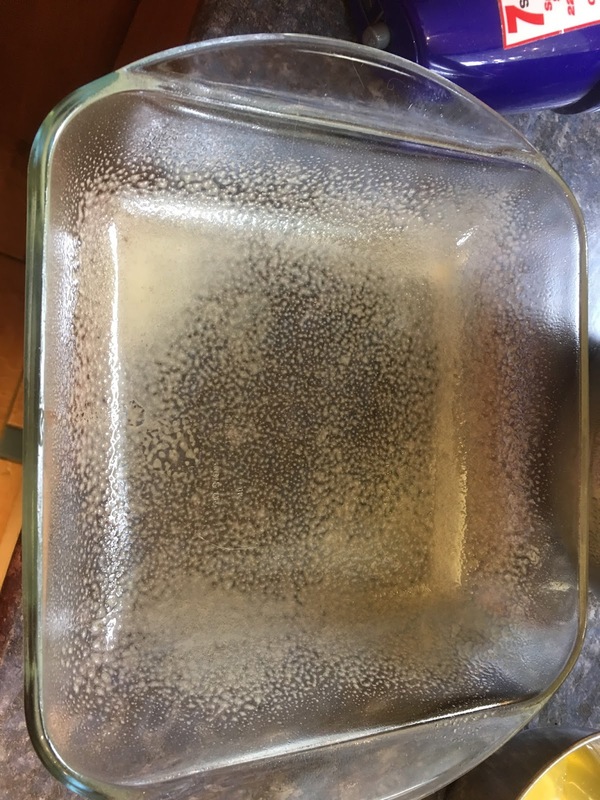 Butter a glass (or metal) square pyrex baking dish, making sure that the bottom and the sides are perfectly buttered. Pour the mix, flatten with a metal spoon, cover with plastic film and put in the fridge for 3 hours, so the custard hardens a bit. 7. Now we are going to start our frying process. Mix the two eggs in a small bowl until incorporated and reserve. Fill with flour a second small bowl and reserve and start heating the oil (or the oil-butter mix). The difference will be in the flavor and the butter-oil mix will get you a crispier dessert. Keep it hot (frying temperature) and reserve. 9. In a medium bowl mix the sugar and the powdered cinnamon. Dip each square into the mix (cover them perfectly) and serve them warm. Spain they use canola oil, so that is what I use. b) If you have leftovers, put them in the fridge and cover with plastic wrap. They will release some juice…it doesn’t matter. 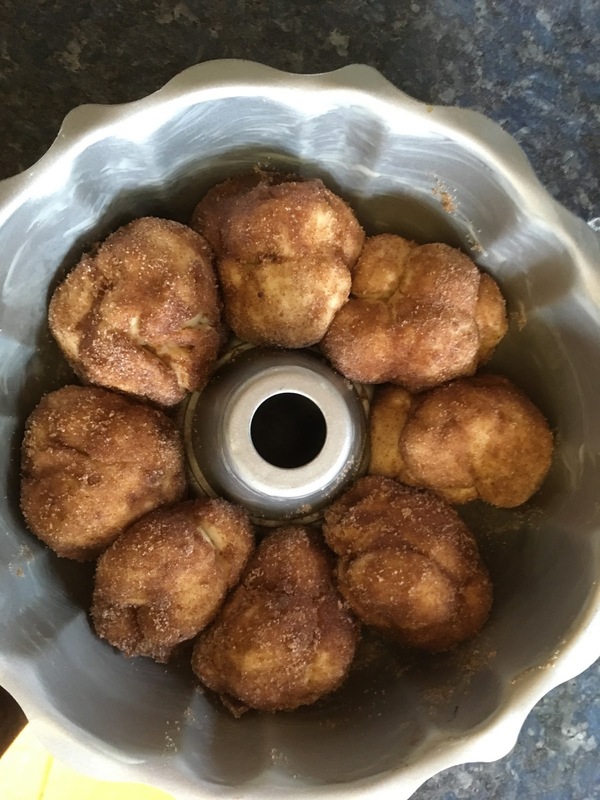 Once you are about to eat them, put them in the toaster-oven and bake at 375˚F for 10 to 15 minutes, then cover them again in the sugar-cinnamon mix and serve. I have always felt awkward when buying bananas at the supermarket. I almost feel that I am doing something wrong and illegal when I break in two a bunch of bananas, leaving the other half there for someone to pick. The problem is that I am the only one who eats bananas at home, as the current wife just doesn't like the texture. She does, however, likes cake or bread and it doesn't matter if contains bananas or not. Go figure. 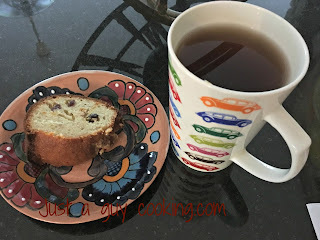 In the other hand I do like banana bread basically because: one, I don't like the idea of throwing them away when they turn brown (which often happens as all bananas ripe at the same time!) but I don't like the look of the traditional banana bread. It just looks...too ...hmmm...healthy?...brown?...plain? So, this week I had two bananas left and decided to bake a bread, a banana bread. 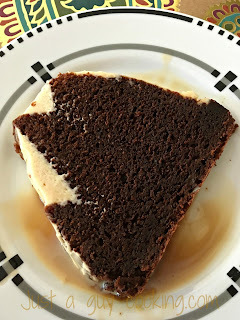 This time, though, I was going to do it more appealing to me, so this is recipe shows what I did and, I have to say, the cake is easy to make, moist, tasty and...looks great! I baked it yesterday. Today there is only half: the current wife has awakened!...any baking goods are in danger and there is no hero to come and save them. Cruel destiny of a tasty cake. Mix the butter and the sugar until you get it creamy and smooth, about 10 minutes, medium speed. 7. Pour the mix into the baking pan and put in the oven for about 60 minutes (mine took 90 minutes!) but keep an eye on it and check how well is done at 45 minutes and then every 15 minutes or so. You will know that is ready when the toothpick comes out clean and the top of the cake is golden. 8. 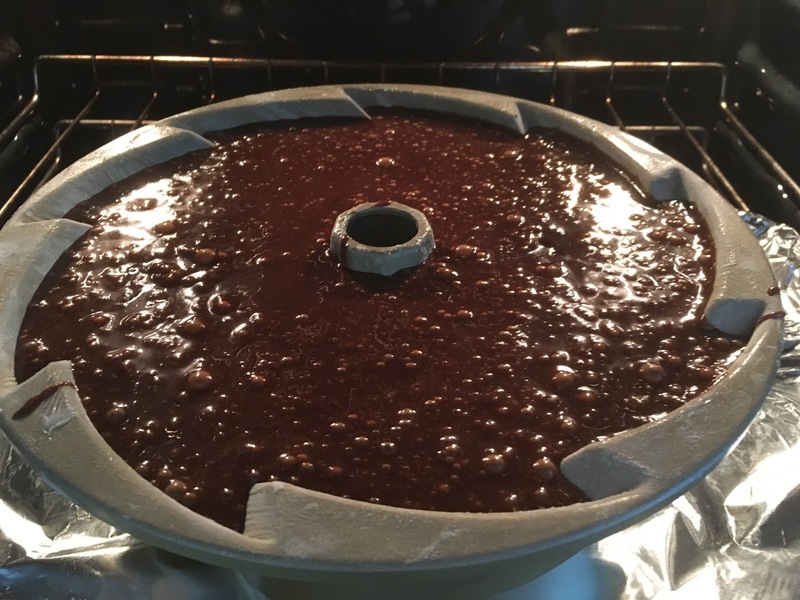 Allow it to cool in a cooling rack for 30 minutes, then unmold and allow it to cool completely. I usually don't eat cauliflower and I really don't know why as it is quite tasty (if it is next to some dressing or in a food...because raw is just disgusting) and I went back to memory land and remember that this dish is quite similar to one that the woman who claimed to be my mother use to make, without the cinnamon, the clove and stuffing the cheese the way I did. In Mexico they usually cut the cauliflower in pieces, mix it with the egg batter and deep fry them -called "tortitas de coliflor"-. 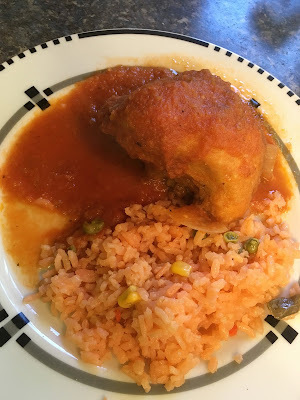 So it kind of seems similar to the traditional Mexican way, but I think that this way is somehow a bit more tasty and you don't get the oil and the egg batter aftertaste. It also looks awesome. As we are only the two of us, this dish lasted for two days and for a hungry wife lunch, but usually this should be plenty to feed six people. Honestly, the touch of cinnamon and clove and the way the cauliflower is presented is just super tasty. 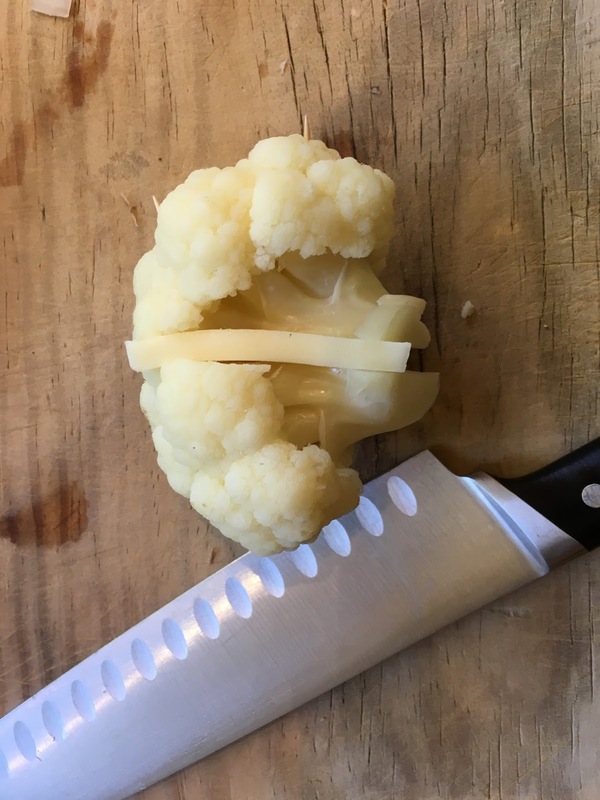 When you cut into the cauliflower and the cheese melts in the plate incorporating itself into the tomato sauce...is just a mystical experience. Try it...you will know then what separates mixing ingredients and cooking. 200 g Mozzarella cheese (or Panela cheese if you can find it), sliced in 1/4 inch pieces. 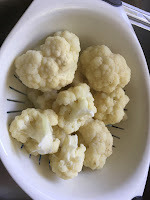 2 Cups of canola oil to fry the battered cauliflowers. 1. Boil water in a medium size pan and once is boiling add the cauliflower trunks (in Mexico they call them cauliflower “trees”) and cook them for exactly 5 minutes -otherwise they will turn soggy-, then drain the water and reserve. 3. Using your blender or food processor blend the tomatoes and then add the onion/garlic. Blend again and reserve in the blender. 7. In a deep small pan, heat the 2 cups of canola oil to frying temperature and it in that temperature. 9. 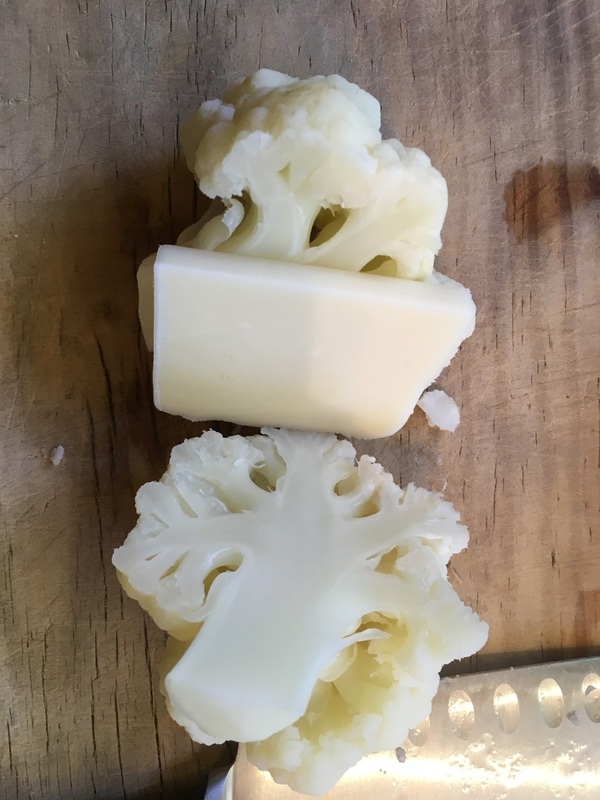 Once we have all the fried cauliflower pieces ready, we are ready to serve. 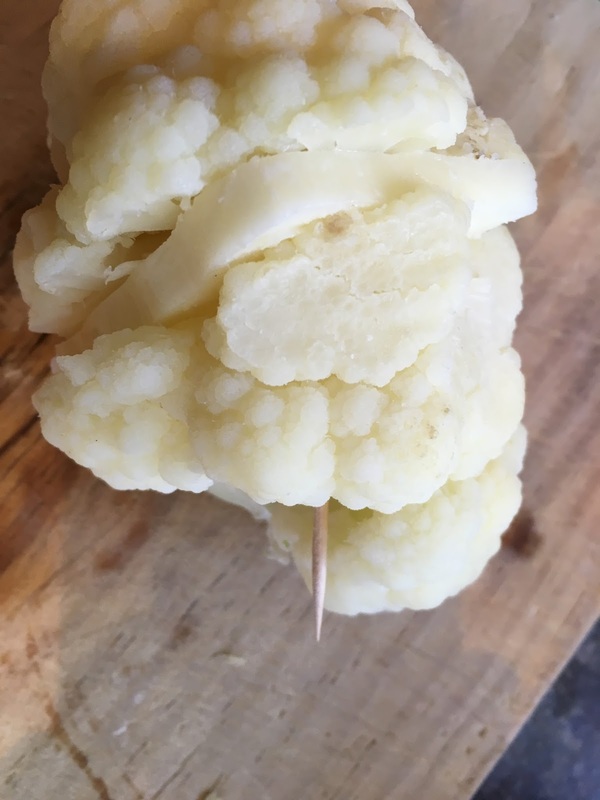 In each plate put one or two pieces of the battered cauliflower and cover them with the tomato sauce, which should be a bit loose (caldillo), then on the side add some Mexican style white rice and serve. Trying to keep my creativity spurge and hiding from the Sun (it is warm today and I rather wait until I'm in Hell to suffer this kind of heat) and based on the famous B-52 classic drink, I decided to create this cake to pamper my ex-student, now friend, that came for a visit yesterday. She is not a person who likes sweets so I took this in consideration. Also as Canadian (yes, yesterday I was in my Canadian mood) I decided to give a twist to the B-52 cocktail and add the Cabot Trail Maple Cream which on its own is fantastic (and...no, they don't pay me to say this). The cake is not hard to make, but it takes a bit longer to bake than a traditional cake because I didn't want to loose the liquors flavors due to high temperatures. 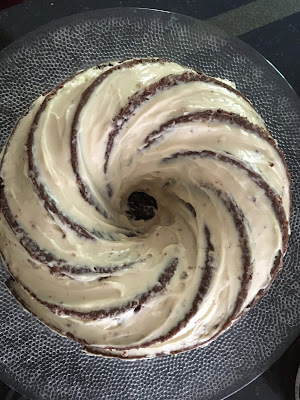 The frosting is soft and delicate and creates a fantastic mix with the chocolate cake. I served it on a bed of Kahlúa and Cabot Trail and...wow...it is absolutely fantastic. It is moist, soft and creamy. I kind of think that even kids can eat it without the cocktail bed. Today there is only 50% of the cake left. My prediction? It won't make it till Sunday. Honestly I can say that when the end result is so fantastic and is one's creation..it feels good. Please feel free to copy the recipe, just credit the site ! 1. Preheat an oven to 300˚F and generously butter a 12-cup bundt pan all over to the very top of the pan, making sure to get every single millimeter!. 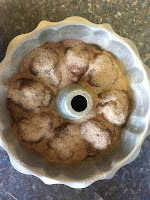 Dust it with flour and place it on a rimmed baking sheet. 2. Place the chopped chocolate and the butter in a medium saucepan. 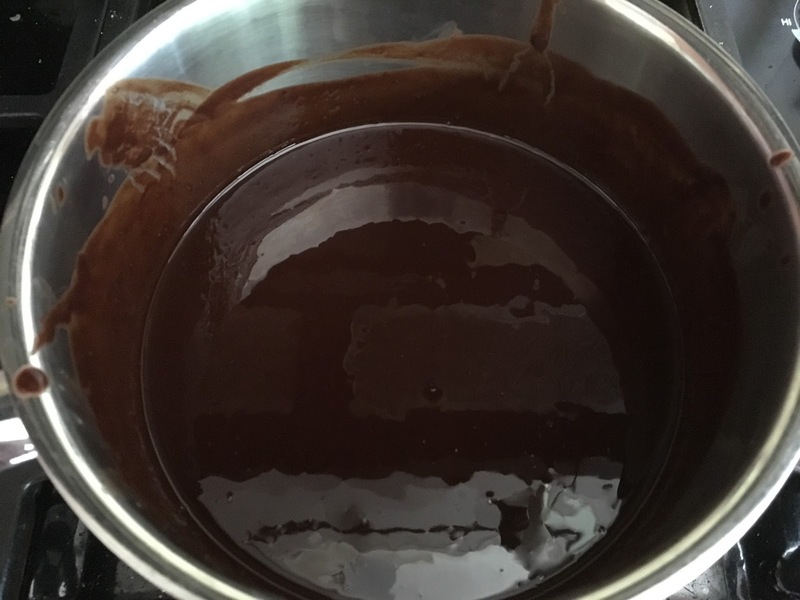 Add the milk and over low heat, melt the chocolate-butter-milk mix, stirring constantly until smooth. Stir in, Kahlúa, Grand Marnier and Cabot Trail and add the instant coffee and vanilla, stir for 5 minutes then remove from heat. 5. To assemble the cake, brush 1/4 cup of Kahlúa and 1/4 cup of Grand marnier over the entire cake, letting it absorb the liqueur. 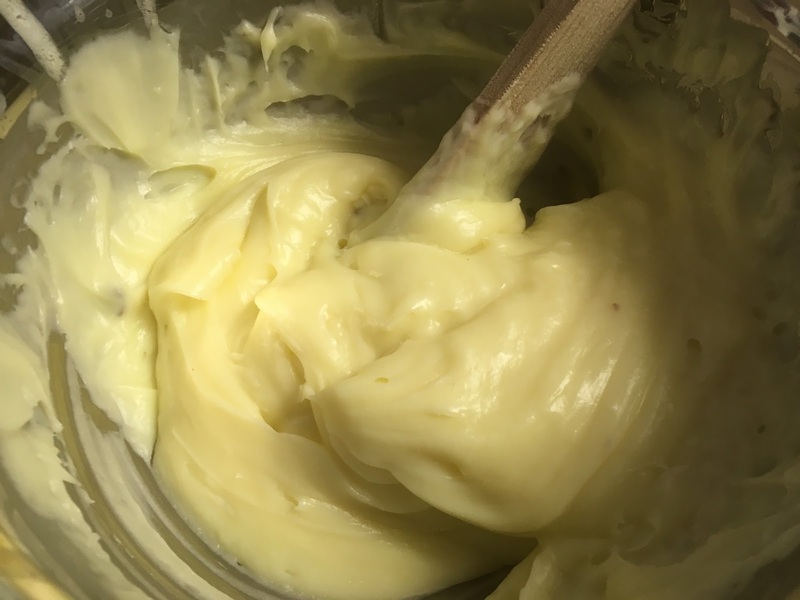 Place the cream cheese, confectioner’s sugar, the Cabot Maple Cream and salt in the bowl of a stand mixer fitted with a paddle attachment. Beat on high speed until a glaze forms. If will be a super creamy mix…don’t eat it, remember is for the cake. Serve on a plate with a small amount of Maple Cream and Kahlúa around it. It is nothing but extraordinary! So, the current wife invited a couple for dinner -long time friends she claims- and it just happens that one of the guests to come is celiac (for real), so the menu had to be 100% gluten free. 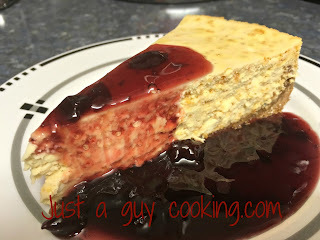 I had some days to think about it and I decided to cook some appetizer -which I can't remember-, then Plantain stuffed chiles rellenos with Mexican rice and...I went all food designer and created my very first Mexican Cheesecake. I replaced the Graham crackers with Roasted Amaranth seeds (that are vanilla flavored and that I bought in Mexico in our last trip) for the crust and I incorporated them into the actual cheesecake. I served the cheesecake with my world famous (yeah right) Tequila drunken cherries and...success. The couple had never tried plantain, so that was great (and if they didn't like it then they deserve an Oscar for best Guest Performance of the Night) and the dessert was the jewel on the crown. Once they had annihilated the food supply, they left. All we had left was the memory of a great dinner and good company and...my ever disappearing memory of the recipe adaptation. As Summer is here I am overwhelmed by heat and garden duties, so just because today it is MEGA warm I am indoors and decided to write down the recipe and share. I do this while I am creating (wow...now I "create") a C-52 Cake for this incredibly smart and pleasant ex-pupil who is coming for a coffee later on today. The house smells great...if this C-52 cake works... I'll post and if it doesn't...well...tough. So, here it is. My own recipe of a cheesecake, which I called Mexican because I relate Amaranth seeds with the Country that claims that I born in and because Alegrias are one of my favorite street treats in Mexico. If you are celiac, gluten free or just plain weird...this is for you. You will love it. 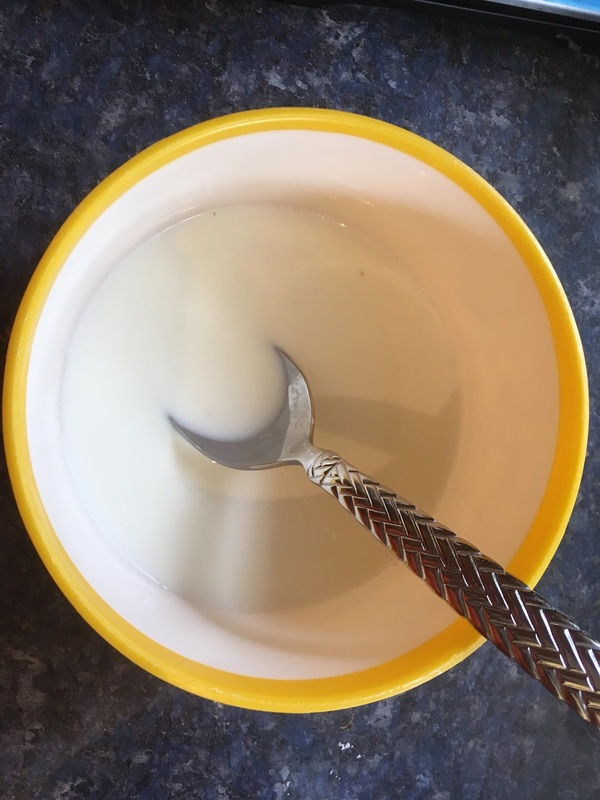 In a medium size bowl combine the roasted vanilla amaranth seeds* with 1/3 of the granulated sugar and the melted butter until fully incorporated. 2. Cover the bottom of a 9” springform pan with parchment paper and butter the sides. 4. In the bottom of the oven -or the bottom rack- place a shallow baking pan with boiling water and turn on the oven to 300 ̊F. The rack for the cheese cake will be in the middle. 5. In a mixer combine the cheese and the sour cream with the rest of the sugar until combined, then add, one by one, the eggs and keep mixing until incorporated (you will get a semi-liquid mix...don’t panic, that is what we are looking for). 6. 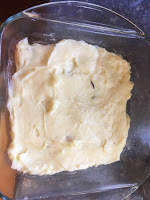 Add the vanilla and the cornstarch and mix a bit more until incorporated. 7. Finally fold the 1/4 Cup of the Roasted Vanilla Amaranth Seeds and pour the mix into the prepared pan. 8. Place the pan into the oven (middle rack), which will be a bit steamy. Allow it to cook between 20 to 30 minutes, but it might take longer (if so, verify every 5 minutes). 9. You know that the cheesecake is ready when the outer ring is firm but the center jiggles like undone jello -you feel that is not going to happen…too liquid, but that is what we want). 10. Turn off the oven, remove the water bath and run a thin knife around the edges so when the time comes it won’t crack. 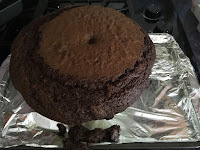 Then remove the cake and allow it to cool in a semi-warm spot in the kitchen -as cooling it fast will create cracks-. This is a two hour wait. Do not unmold!!! 11. Once is cool enough, unmold and put it in the fridge for at least 3 hours. -When ready, remove and place the cake in a cooling rack for 2 hours without opening the mold. * Roasted Vanilla Amaranth Seeds are available in Mexican Specialty Stores, Organic Food Stores or on the internet (Amazon). Just make sure that they are actually amaranth and no artificial additives whatsoever.